Sometime last year (or the year before) Mr T (famous for playing B.A. Baracus on The A-Team in the 1980s) appeared in a television advert in the United States promoting World of Warcraft (the popular MMORPG). In this advert he claimed that there is a Nightelf Mohawk class in the game. It seems that the company that makes the game, Blizzard (who is also responsible for Starcraft and Diablo) has considered Mr T’s gesture that there is a Nightelf Mohawk class in the game by introducing an item called a Nightelf Mohawk Grenade which can be obtained from an Nightelf Mohawk NPC (or Non Player Character) in World of Warcraft. Quite interesting. Maybe I should use one of my toons to get this item. 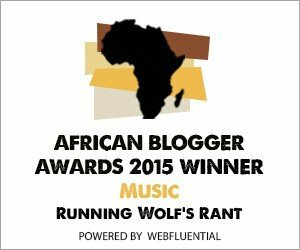 Watch this space for updates in the Gaming & Humor categories on Running Wolf’s Rant. Don’t forget Mr. T Geyser Nachos!!! I pity the fo’.